Lizard Secrets! LIZARD SECRETS! When sifting through the endless pile of gore-drenched and occult-themed album titles in the AMG promo bin, something as adorable as Lizard Secrets immediately stands out. As for Airborn themselves, well, they’ve had a tough time doing the same in the power metal scene over the past twenty two years of their existence, plugging along on a semi-regular release schedule that I had been completely unaware of until I plucked this album from the a(mg)ether. 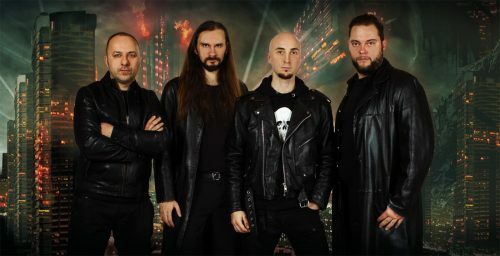 Their relative obscurity doesn’t come as a surprise when listening to their music – like countless other power metal bands, they lack a defined, unique personality – but what they lack in originality, they make up for with heart in spades. Wholly unoriginal and stuffed to the scales with cheese, Lizard Secrets: Part One – Land of the Living is a surprisingly varied and undeniably fun listen nonetheless. Though based in Italy, Airborn’s soul very clearly belongs to power metal’s Teutonic legends. From the sweeping guitar melodies and distinct vocal lines of Gamma Ray to the brash chords of Iron Savior and even the ludicrous pomp of Freedom Call, Lizard Secrets is a competent, confident overview of Germany’s spread of speedy power metal offerings. Though derivative through and through, Airborn succeeds in the end because it mashes these influences together without sounding random or disjointed; everything just works, and outside of a couple of tedious mid-paced numbers (most notable being the plodding, lurching “Here Comes the Claw”), the level of quality remains relatively high despite the aesthetic shifts. Beyond the charm, Lizard Secrets is elevated by a handful of great numbers that pockmark the record’s array of good-to-okay tunes. “Land of the Living” pairs an anthemic Freedom Call chorus with tried and true Iron Maiden gallops in the verse to memorable effect, while closer “My Country is the World” delivers the best power metal refrain I’ve heard this year, haphazardly pouring on the cheese and optimism as successfully as any of their fellow countrymen have ever nailed. Despite the consistently strong tracklist, production quality is strangely scattershot; the forceful, distinct drum tone sounds punchy and well-mixed on tracks like “Who We Are,” yet obscured by overly loud vocals on “Lizard Secret,” the very next song. 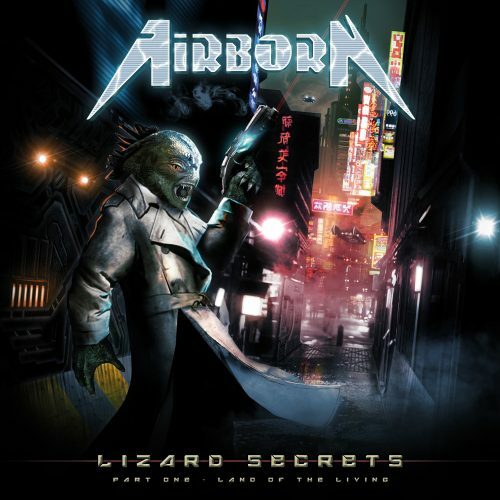 Still, the lack of reliance on keyboard presence automatically makes Lizard Secrets a better sounding power metal album than many of Airborn’s synth-drenched contemporaries. Lizard Secrets’ full title promises that this record is merely act one in what may either be a limited series or a full-blown saga, and while I’d never listened to Airborn before this record, this record’s overall quality has me intrigued enough to check out whatever reptilian rumors, amphibious ambiguities, or cold-blooded curiosities the band has on deck for their next outing. It’ll never be a permanent replacement for Gamma Ray’s Somewhere Out in Space or Iron Savior’s Condition Red, but it should serve well as a diversion from those records when I’m craving German power that’s a little less well-worn – and, well, not actually German.